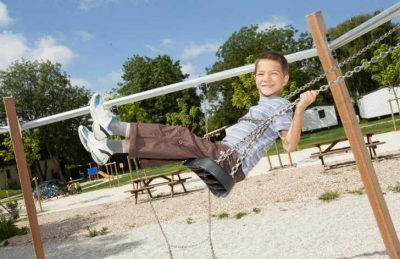 Camping Paris Est is a 3 star campsite located in Champigny-sur-Marne in the Paris region of France. Camping Paris Est is a fabulous campsite that is perfect for those looking to either explore the stunning city of Paris or those who are planning to head to Disneyland Paris and would prefer not to stay on-site. The campsite is set within 20 acres of wooded parkland on the banks of the Marne River and is literally on the outskirts of Paris. The centre of Paris is just 20 minutes away and what’s better, there is a bus stop that heads into the centre of town right outside the entrance of the campsite. You’ll also find that Disneyland Paris and Parc Asterix are also easy to get to with both being reachable by car in a short amount of time. One of the great things about the campsite is its location. Those not wanting to take their car on holiday can easily use public transport to navigate their way around the city and there’s that much to do, you really will be spoilt for choice. Although the campsite doesn’t have a swimming pool or many activities on site, the availability nearby of a raft of different things to see and do really will make up for it. You’ll even find the Tremblay Leisure park just down the road which provides a whole range of different sporting activities for the whole family so that those with children will never be bored. Camping Paris Est offers a comprehensive selection of activities and facilities on site and also nearby to ensure you have a fantastic family holiday. On-site activities at Camping Paris Est include table tennis, gym, cycle hire and a playground. Facilities available at Camping Paris Est include WIFI, takeaway, bar, groceries, washers and dryers. Accommodation at Camping Paris Est campsite includes a range of 2 and 3 bedroom mobile homes that are available from Eurocamp and Al Fresco Holidays.